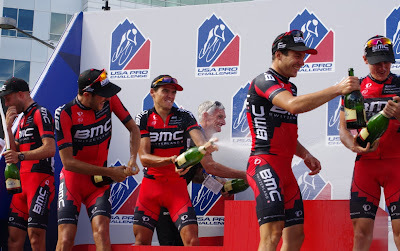 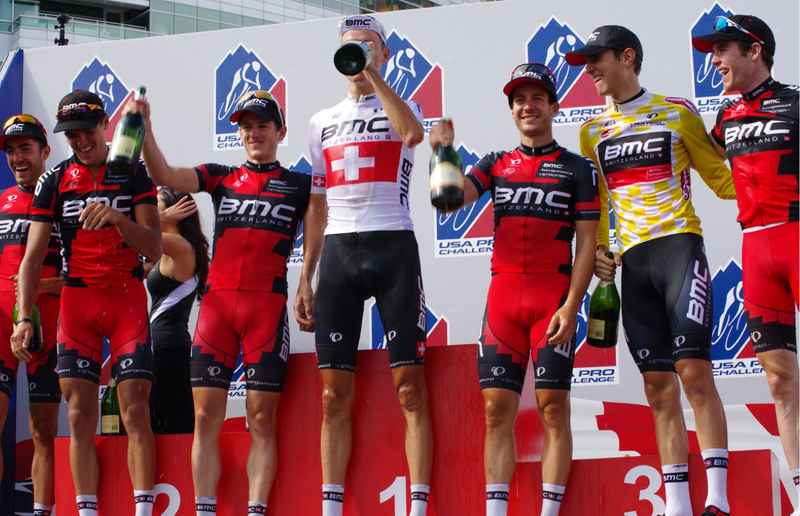 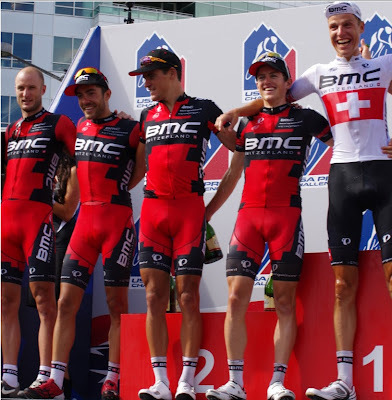 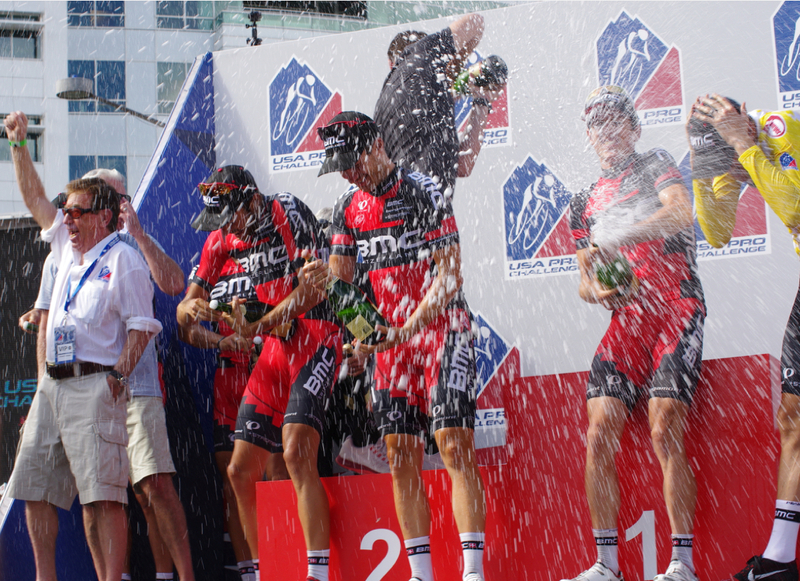 BMC Racing Team won the overall best Team Classification at the USA Pro Challenge this year. 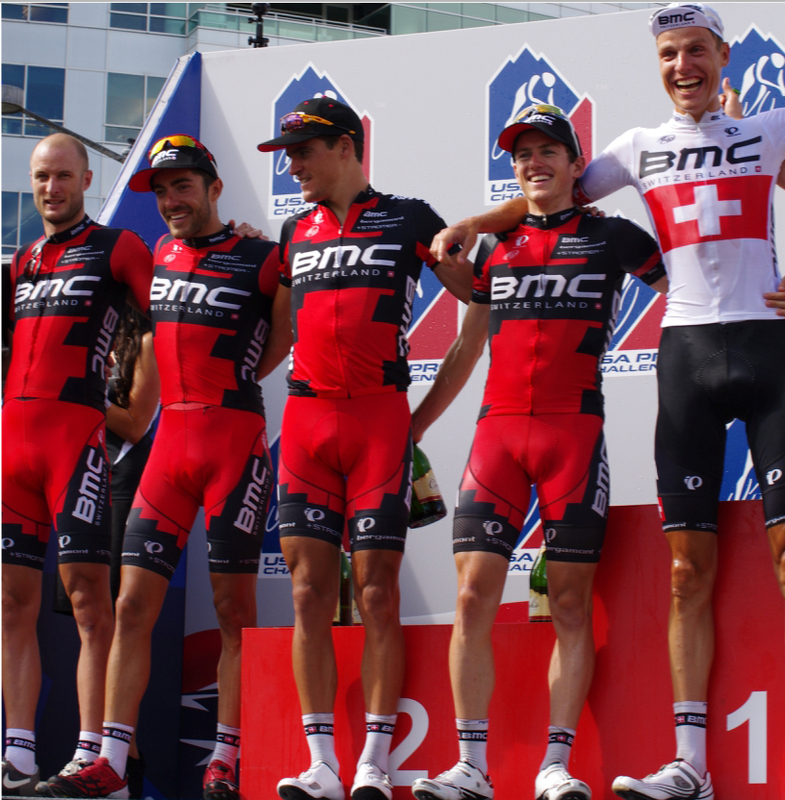 They beat out team Garmin-Sharp by 5'30". 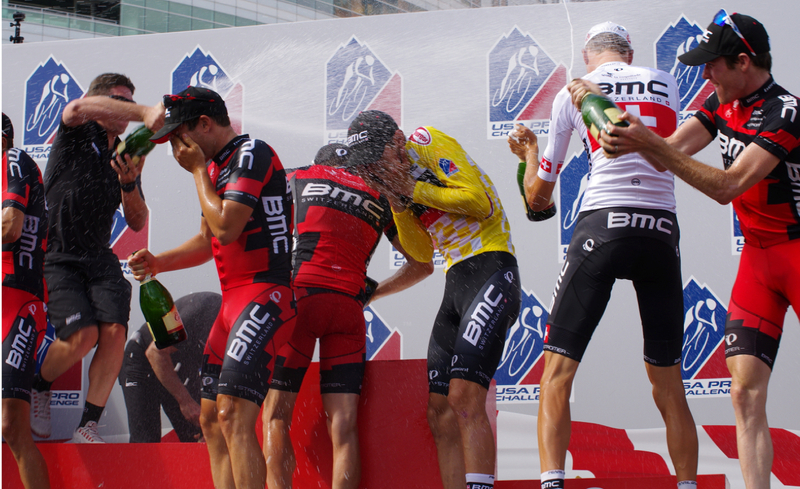 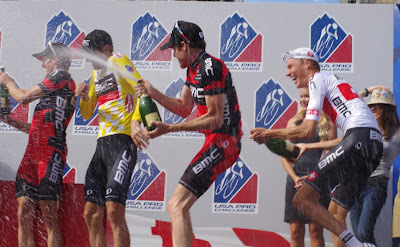 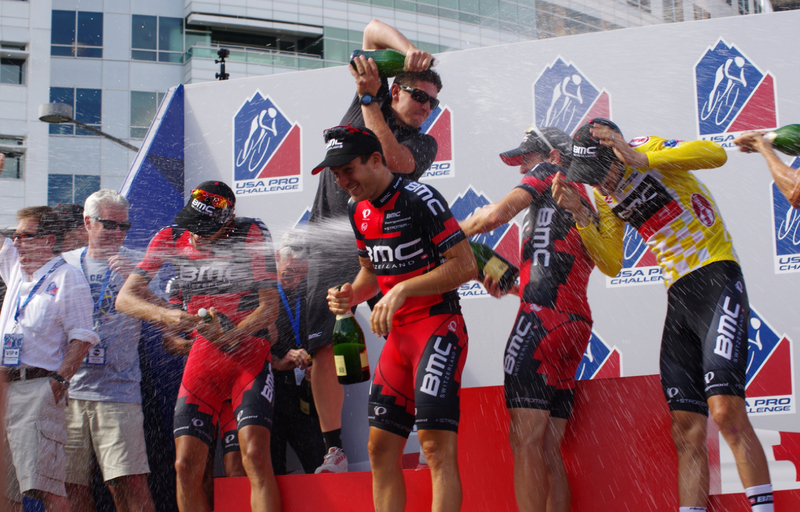 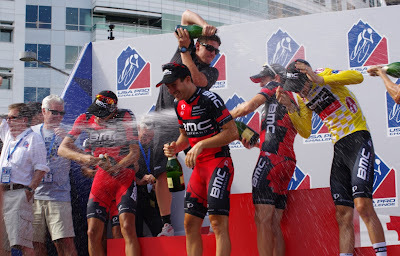 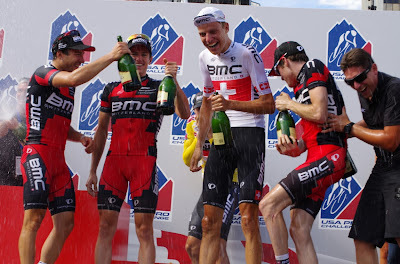 And they celebrated big time with many bottles of champagne today on the final podium celebration in Denver. How to celebrate best team in 14 easy steps.